Ceramic is one of the most commonly used materials in the bathroom, mostly due to its durable and functional nature. 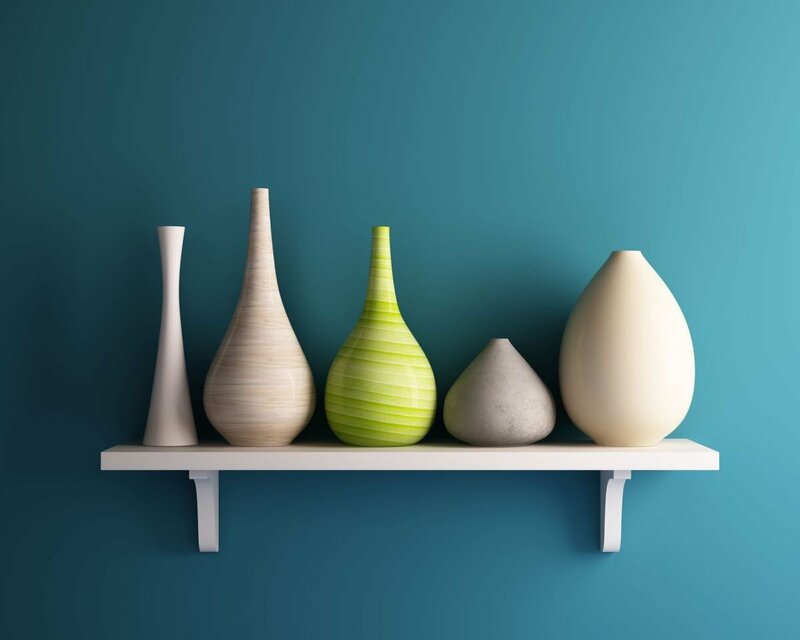 However, interior designers and manufacturers today are developing new approaches to ceramic that are colorful, fresh and exciting. Whether adorning your floor with patterned tiles or adding a pop of color with a sleek new soap dish, follow these creative modern tips for using ceramic in your bathroom. Tiles are an easy, effective way to incorporate more ceramic into your bathroom. Ceramic is stylish and waterproof, according to GIA Bathroom & Kitchen Renovations. Ceramic tiles also come in a wide array of colors and styles, so can add a personal, artistic touch to your bathroom. For example, ceramic tiles can be made from a red, brown or white clay base, tile retailer Italia Ceramics points out. Depending on the type of ambiance you’d like to create, you can use ceramic tile to adorn the bathroom walls, floor or both. Maryn Liles at Hunker provides a few creative ideas for ceramic wall and floor tile. Bold patterned floor tile creates a standout statement floor, for example. In this case, the wall tiles are left white to emphasize the floor. Choosing complimentary designs for walls and floors can make a small space feel bigger and more aesthetically pleasing. Where you’d like to put this tile can influence the colors, textures and styles you use. 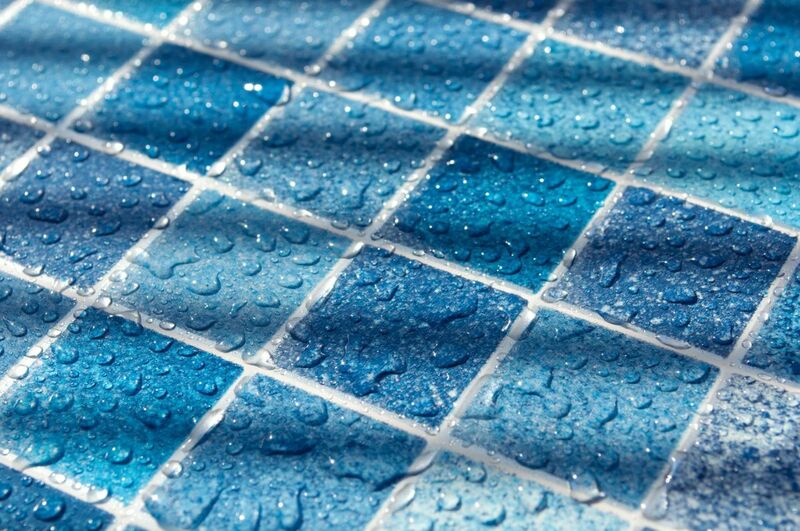 Texture is an especially important element to consider when choosing ceramic tile. Hand-glazed ceramic tiles have an interesting texture that makes them feel less sterile, lifestyle journalist Sarah Marinos writes. When installing ceramic tiles on the floor, texture can also become a safety precaution: Smooth, high gloss tiles are more slippery when when wet, while textured tiles help with traction. Also keep in mind that ceramic is an extremely versatile material. Developments in design technology have advanced ceramic tiles to the point where they can mimic many other materials, Anabelle Bernard Fournier at The Spruce adds. She highlights a bathroom that features dark ceramic floor tiles in a modern chevron pattern. The tiles are designed to look like slate, yet they are easier to maintain than natural stone would be. Ceramic tiles are being made to mimic metals, which typically aren’t used as flooring in the bathroom, says tile design expert Kate Spencer. Rubbed with metallic elements, these faux metal tiles with gray, black or brown undertones, have a touch of distressed glam about them. The worn paint look on ceramic tiles can also copy the appearance and feel of concrete flooring, such as that which you might see in an chapel or museum. With an easier maintenance regimen than metal or stone, these ceramic tiles are better than the real thing. Statement sinks made of ceramic are both durable and unique. Vessel and drop-in sinks made from ceramic are more popular than ever, ceramic surfaces retailer Ceralsio explains. Ceramic vanity surfaces also compliment ceramic sinks for a cohesive look. Similar to stone, ceramic can be purchased in slabs to create a more rustic and unique look for the bathroom countertop. Instead of choosing a pre-packaged sink or countertop, you can head to an artisan ceramics retailer to achieve this look. Ceramic tile countertops are also re-emerging as a go-to bathroom style. Tile can be used to adorn a custom sink design, as showcased in a number of examples from DIY expert Lee Wallender. He shows how tile can cover an entire vanity, including the surface and sides, to make a sink of a different material stand out. He also points out that the same tiles can be used on the floor as on the sink and walls, creating a consistent look and feel throughout the bathroom. If you decide not to use the same tiles across your countertop, floors and walls, keep in mind that they still do have to match. In fact, this is one of the most important design rules when planning new bathrooms and kitchens, color expert Maria Killam explains. When mixing ceramic patterns, she suggests trying to find an inspirational photo that uses both patterns well. If you can’t find an example of how these exact designs can flow together, chances are, the end result will be a major clash. Ceramic soap dishes may be standard issue, but they certainly don’t have to be bland and can add a touch of interest in the bathroom. Melanie Yates, home decor editor at BestProducts.com points to three interesting pieces in her roundup of the best ceramic soap dishes on the market. One black and white dish features a whimsical umbrella shape and another is made with a slatted wood surface that allows soap to dry faster. We also love the brass and ceramic soapdish, which assumes a classic, nautical feel. More inspiration for ceramic soap dishes can be found with luxury retailer Soap Bar Lounge. This online shop offers glazed ceramic soap dishes in ten colors. Specifically designed to make your soap last longer, the dual wing shape keeps the bar from sitting in water like normal dishes. This is just one example of how unique ceramic accessories can be both functional and stylish in the bathroom. Ceramic plant pots and lights are other opportunities to display unique bathroom accessories. You can choose a burst of color or keep these design touches muted, and switch them easily when a change is in order. A geometric ceramic planter featured by Cara Gibbs at Apartment Therapy, for example, is equal parts chic and neutral. This planter would go with nearly any bathroom style and assumes a timeless look, making it a great choice for all. More green touches can be found in a roundup of creative planters from Nicole Lund. She showcases two ceramic ones: a speckled ceramic planter, which creates a cozier, more boho vibe; and a sculptural ceramic vessel, which adds an edgier feel. Ceramic lights, too, can an artistic element to a bathroom. Handmade pottery lamps, like those made by Anchor Ceramics in Melbourne, Australia, combine modern designs with traditional methods, for light fittings that are truly unique. Choosing handmade items from a pottery studio is a great idea for the upscale bathroom because it ensures that you’ll have a one-of-a-kind piece that sets your bathroom apart. If you’re not sure about where to purchase a ceramic light or you’d want to purchase one in person, consider looking for pottery studios near you. These studios might even be able to create a unique, one-of-a-kind item if you know exactly what you’re looking for. At Southwest Ceramic Lighting in New Mexico, for example, customers can design their own ceiling lights and wall sconces, choosing colors, metal accents and even sockets. Many pottery studios offer such options, and a local studio in your area can help you find or create a ceramic light fixture that brightens your bathroom in more ways than one.